We’ve seen you “painting” outdoors – not with brushes and acrylics, but with flowering plants, shrubs, and ornamental grasses. 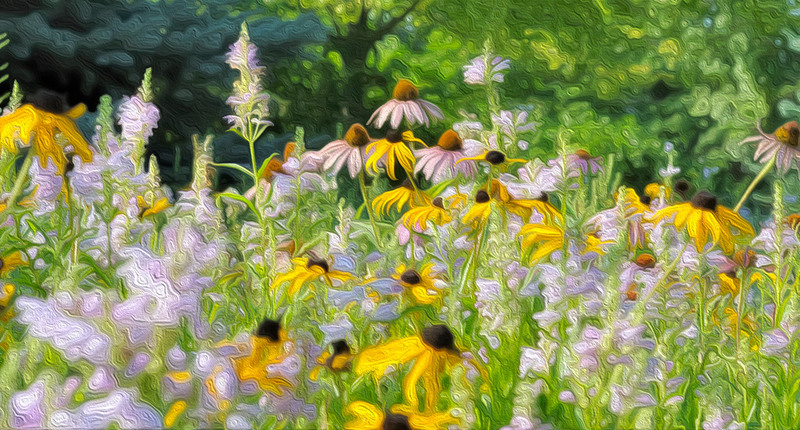 Mid-summer ushers in the year’s most varied color palette, so channel your inner plein air artist and start digging. Our “Welcome to August Sale” beginning this weekend will help you accomplish your landscaping goals and brighten your garden’s canvas with vibrant summer color. All Trees, Shrubs, Roses, Perennials, Tropicals, and Annuals are now 20% to 50% off, including all of our Rohsler’s Grown plants! Many of the shrubs that bring structure to the landscape are now awash in color. Anchor your plantings with showy Hydrangeas, sweet-scented Buddleia, stunning (and deer-resistant) Caryopteris, and long-blooming Crape Myrtle. All of these shrubs are at their best right now. Rose of Sharon and Vitex are about to follow suit. Beloved for their perfume, color, and exquisite form, Roses are a classic choice for the garden. 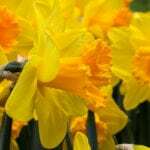 Plant them well in a sunny location, keep them well pruned, and Roses will bloom for months on end. Some varieties willingly climb trellises, while others grow in a shrub-like habit, and others add brilliant punctuation marks to a cottage-style garden. Many of our Rohsler’s Grown Perennials are hitting their stride. Visit our “sun section” for a fine selection of Agastache, Stokes Asters, Asclepias, Coreopsis, Sneezeweed, Black-eyed Susan, Coneflower, Kalimeris, Yarrow, Evening Primrose, and more. For your shady spots, we suggest Painted Fern and Japanese Forest Grass. Now that we’ve broached the subject of ornamental grasses, we recommend Sedges(Carex). We find that Sedges are underused, and want to see that change! These lovely sedges perform well in partial shade and many can stand up to a dry New Jersey summer. Tip: Check out the colorful Eversheen series. Looking for a dynamic element for your garden? 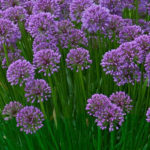 Try Allium (Ornamental Onion) which is extremely deer resistant. With basal leaves, tall stems, and spherical blooms in a glorious array of colors, you’ll be glad you took a second look at this branch of the Onion family. 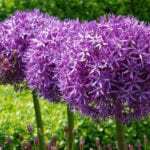 Remember to plant Allium with a companion that will be there to take over as the Allium leaves fade. Catmint is one option. 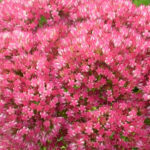 It’s not too late to plant annuals. Those who are “in the know” are still adding mid-summer color with Vinca and Lantana – two “sunbathers” with splashy blooms that lure in the butterflies while they make the deer yawn. Shady spots cry out for Begonias. In all of their glorious varieties, Begonias are deer-resistant, classic beauties. Mid-summer is also an excellent time to plant herbs. Many herbs are perennial and will survive the winter. 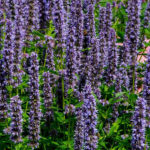 Spearmint, Thyme, Sage, and Oregano are all perennial herbs that can be planted right now from seed or transplants. Tender herbs such as Basil, Rosemary, and Dill can be planted in containers or directly into the ground, and will be great for cutting right up until frost. If your yard, deck, or patio has a troublesome “hot spot,” consider a low-maintenance trough garden overflowing with Sedum and Hens and Chicks. We still have colorful hand-crafted container gardens that add instant color right into early fall. As always, feel free to bring your gardening questions to the experts here at Rohsler’s. We love to see you succeed. We’ll see you soon!